Effective communication skills and strategies are essential to achieving organizational and career goals! Benchmark delivers highly effective communication skills training, coaching and consulting programs to improve the soft skills and effectiveness of your people and organization. Our experts will help you unlock the potential of your leaders and people, so they can lead with greater clarity and purpose. Our communication experts are also Master Practitioners in Neuro Linguistic Programming (NLP), the study of behavior and language. Our teams will help you transform your people and build a stronger corporate culture. 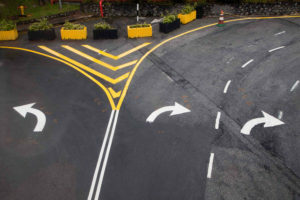 Conflict Happens – Conflict is a natural part of life and work, but many people are uncomfortable addressing conflicts. This is why Conflict Resolution Skills Training is often rated among the Top 10 Soft Skills people need to be more engaged and productive at work. Benchmark's conflict resolution strategies will forever change how you respond to conflict and how others respond to you! Why Conflict Exists – Conflict is a natural part of the communication process. People bring their life experiences into the workplace, along with varying degrees of capabilities and conflict resolution skills. Conflict exists because of different perspectives, beliefs, experiences, knowledge levels, self-esteem, capabilities, cultures and emotions. Most people would prefer to be at ease with conflict, but they are not! This is why conflict resolution skills training is crucial to the well-being and productivity of your people. Conflict Resolution Skills – During this highly interactive training (or coaching), you will improve your conflict resolution skills by improving your awareness and strategies in a range of key areas, including: perspective strategies, belief awareness, emotional alignment skills and state management skills. You will also learn about language frames, framing skills, deep listening skills, rapport skills, feedback strategies, information gathering skills, nonverbal communication, motivation strategies and much more. Separating Issues From People – Studies show that people hold on to their beliefs during conflict and data alone will not solve conflicts; you must know how to work with beliefs and emotions. During this conflict resolutions skills training, you will also learn how to shift your beliefs to resolve conflicts and practice skills to separate issues from people. By doing this, your relationships are preserved. Nonverbal Communication Skills – It is also important to understand how your nonverbal cues impact conflict resolution success. Studies reveal that nonverbal cues greatly impact how people respond to you, and you will learn skills to ensure your nonverbal cues support your goals when working toward conflict resolutions. 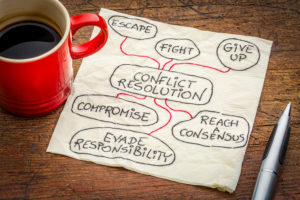 Behavioral Filters – To improve your conflict resolutions skills, you should also understand drivers that greatly impact how you handle conflict - triggers, beliefs, culture, decision strategies, emotions, context, Meta Programs and other elements. Meta Programs are behavioral filters that direct your thinking and actions. They determine how you are convinced, how you communicate, how you prefer to interact with others, how you make decisions and more. By understanding these Programs, you can more easily improve your self-awareness and communication skills to resolve conflicts. Conflict Resolution Experts – Our leaders are communication experts; we have helped leaders and organizations in all 50 USA state and more than 25 countries improve their soft skills. Our leaders are also Certified Master Practitioners in Neuro Linguistic Programming (NLP), the study of behavior and language patterns. We will show you how to awareness of Meta Programs can improve your conflict resolution skills. You will forever change how you respond to conflict! Benchmark’s training makes you a better communicator and is some of the best I’ve experienced in my career. I have put their listening, rapport and emotional alignment skills to good use and they work great! I first used Benchmark’s skills with a person who was upset with our organization – and it was amazing how the whole dynamics of the conversation changed! I look forward to attending more Benchmark programs in the future! As a writer, I already think a lot about my audience, but Benchmark’s workshop really helped open my eyes to ways to think about a hard issue from the other person’s perspective. I will use the concrete tools they gave us when developing customer messages and responses. I also appreciated the team’s ability to get us off-site employees involved in the activities. I will continue to promote Benchmark as long as I have a breath! I have benefited from working with their team many times; Benchmark is fabulous and has helped us greatly improve our stakeholder relationships. Their “Intent Reframing” has made me a much better listener and our customers are noticing! Their consultants are simply brilliant and their materials are excellent. What a difference Benchmark’s leadership and communication coaching has made to my career! I tell my people that Benchmark has been instrumental to my overall leadership transformation! Benchmark’s strategies will help you become a much more effective communicator and leader, and you will build new skills to develop stronger relationships with stakeholders. I walked away with practical tools such as: deep listening skills, strategies to respond to core beliefs, skills to read breathing and much, much more. I am now aware of much more communications information and I am learning to “match, pace, and lead” stakeholders to build trust. I now feel more confident in my ability to build deeper relationships. Benchmark’s Sales Communication Training gave me a new perspective in sales! I now pay much more attention to my customers’ meta-language cues, and this psychological insight has resulted in a richer and more meaningful dialog with them. I now get better information about what the customer really prefers and I have much deeper conversations with my customers. I fully expect to leverage this new-found understanding to achieve more effective sales efforts! Our investment in Benchmark’s Sales Communication Training will pay dividends through competitive advantage going forward! We have a mature sales team and operate in a mature market with several competitors all working for the same repeat business, and we just completed a very successful year of sales growth. This doesn’t sound like a sales team in need of sales training, right? But, this was hands-down our most productive sales meeting we have ever held! Benchmark’s presentation was fun, professional and well received. Our sales team left with new techniques to enhance our sales, communication and presentation skills that will pay dividends going forward. We will call on Benchmark again! 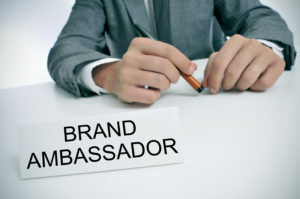 The Situation: An organization approached us about developing a custom Employee Brand Ambassador Program. With operations in eight USA states and multiple countries, they wanted their frontline employees to have effective communication skills and training to help the company tell its story. Their ultimate goal: greatly improve its stakeholder engagement and customer relationships. Frontline employees are the face of your organization – they have direct customer and stakeholder contact. They are the primary connection that impacts the trust, image and reputation of your organization! Studies show the public believes employees are more trustworthy than your organization’s CEO, Founder or PR department! The Results: We helped implement a comprehensive Employee Brand Ambassador program with customized Employee Ambassador Training that was delivered to thousands of employees, and included refresher sessions. 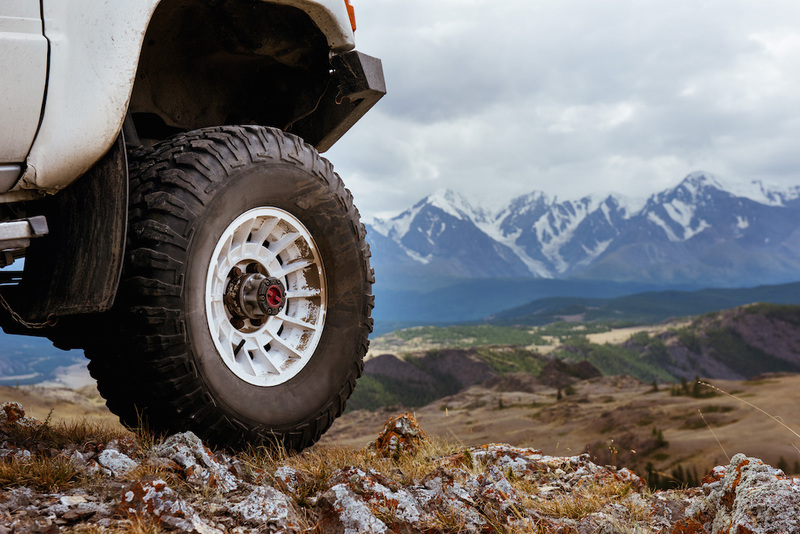 The company began receiving immediate feedback that the program and training changed employee beliefs and behaviors – as well as customer / stakeholder perceptions about their operations. The company also saw litigation costs drop across its operating areas because of its improved relationships with the public, public officials and other key stakeholders. The training has become one of the most popular programs throughout the organization and the client says the program has been instrumental in changing their culture to one of being more customer-centric and transparent. The Situation: An organization was desperate to improve its stakeholder engagement and communications with a key customer group, so they asked us to consult with them to analyze how they could increase customer trust and rapport. 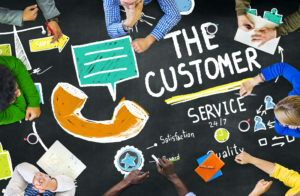 Hundreds of their employees across many departments communicated with these customers and each group had their own special needs and areas of customer expertise. Their customer relationships were suffering, employee stress levels were high and the morale was low within their own ranks. In short, they knew they were failing in how they were connecting with the very customers that drove their financial success! The Results: Our team interviewed key people in multiple departments to clearly understand the types of issues they faced and the types of solutions their customers needed. We worked with multiple content specialists in five departments and created a custom training curriculum to address their exact needs. We also developed custom Q&A booklets for each department to help employees improve their approach and accuracy with customer questions. The training was highly rated and within days of the initial training sessions, one of their leaders called to share some customer success stories; she said that she finally understood how to better manage of the “process” of customer complaints, communications and relationships! Employee morale started to rise and the customer experience greatly improved! The Situation : An organization approached us about helping a promising high potential manager improve his future prospects with better communication skills and leadership skills. Although highly competent, he needed to increase his Emotional Intelligence (EQ) to improve how he engaged and related to others outside of his group. He was being labeled as “aloof” and “not a team player.” So, we gathered thorough information to fully understand how he was matching or mismatching others in the workplace. We also had him take an assessment, so we could better understand his performance and motivation drivers. The iWAM Assessment gave us useful insights about how he prefers to achieve, communicate and much more. The Results: We helped this high potential manager identify how he was matching and mismatching others during group and one-on-one interactions. He learned communication strategies to set achievable outcomes, build rapport and trust – and greatly improved how he connects with and engages people on a daily basis. We also provided numerous strategies to help him improve his self-awareness on how others perceive his verbal and nonverbal cues. This young leader has gone on to achieve greater things for his organization. He now tells his staff that working with Benchmark was absolutely the turning point in his career!